Welcome to the home of Childerhouse Genealogy. I have been researching the Childerhouse family for many years on behalf of my wife Susan, who is descended from William Childerhouse (born 1674) and his wife Jane who were married in Besthorpe, Norfolk around 1690. Early variants of Childerhouse tend to be written as heard so some names that appear in parish records include Childerhowes, Childerhowse, Childerhows, Childhows, Childerhus, Childerhous, Childerhus, Childrehus, Childris, Childress, Childerose, Childerows, Childrows, Childress and Childers. Childerhose is a variant of the Childerhouse family name, prevalent in Canada and the United States. Although early ancestors appear to be from Norwich and Saham Toney, many settled in the Attleborough and Besthorpe area of Norfolk, others settled nearby in Wymondham, Rockland All Saints, Rickinghall Superior, and surrounding areas. Most were agricultural labourers, working the rich soil on Norfolk's farmland and didn't move far from where they were born. Occasionally they met a girl in a nearby village, married and started a new family, although not always in that order! Later, some travelled to London and settled in St Pancras then to Feltham and Hatton in Middlesex, where they setup a market garden while others emigrated to Australia and New Zealand and started a whole new branch of the family out there. 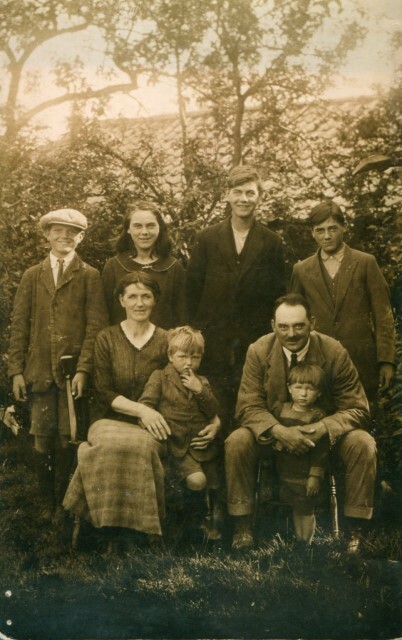 The Childerhose families of Canada were descended from Thomas Childerhouse who settled in County Limerick, Ireland and married Elizabeth Chambers then they had two sons - William and Robert, and two daughters Eliza and Jane. Upon maturity, Robert took a farm in Rathcannon, south of Limerick, while William leased the town land in Ballinoe, from the owners, the Burtons. William married Mary FitzGerald. Times were hard in Ireland at that time and his sons Stephen and Robert emigrated to Canada and settled in Renfrew County, Ontario where they took 200 acres on the east shore of Muskrat Lake and built a Homestead there. Maintained by Barry Walker. | Data Protection Policy.